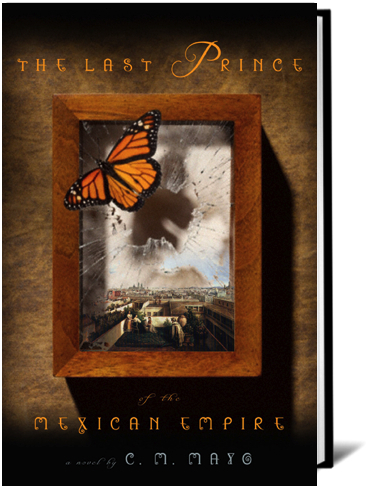 ) I like to think of my characters in The Last Prince of the Mexican Empire from the likes of Louis Napoleon, Maximilian von Habsburg, the Pope (Pio Nono, none other) to a galopina (Mexican kitchen maid), a bandit who sings mermaid songs, and two (count em) American princessesas a tussie-mussie (and one with maybe a few misidentified weeds as well). Im often asked, of the dozens, which characters are my favorites? Well, there are oceans of difference between a character Id like to be; a character Id want to sit next to at dinner; and a character I enjoyed writing. Writing fiction is a process much like acting. Fleshing out a character sometimes requires reading and other background research, but mostly imagination. Some characters can be a painful, awkward stretch. Others, at least for a little while, can be jolly fun to play like a game! Wife of the Purser of the Mexican Imperial Household, Frau von Kuhacsevich came to Mexico as a long-time member Maximilian von Habsburgs entourage. That meant, to put it plainly, that she had extensive experience with Europes most exactingly formal protocol for, prior to accepting the Mexican throne, Maximilian, younger brother of Austrias Kaiser, had served as Viceroy of a major province, Lombardy-Venetia, where he ruled from his palace in Monza. As might be expected, Frau von Kuhacsevich found no end of trouble and trauma in managing a Mexican staff in Mexico City, and later, in the winter Imperial Residence in what was then the picturesque but exceedingly remote village of Cuernavaca. Her opinions and her stream of consciousness could not be said to be politically correct. Ho ho. The daughter of Mexicos first emperor, Agustín de Iturbide, after her fathers execution by firing squad in Mexico, Josefa grew up in Washington, DC, where her mother, the widowed empress, found herself struggling to pay the rent. A spinster, after her mothers death in Philadelphia, Josefa returned to Mexico City to help her younger brother, Angel, and his American wfe, Alice, with their new baby the baby who was destined, it turned out only a little later, to be taken into Maximilians court. 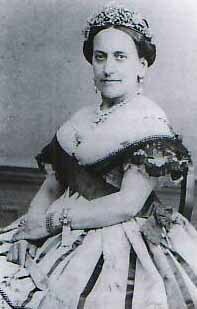 As per Maximilians 1865 contract with the Iturbide family, Josefa de Iturbide received not only the magnificent pensions and status of Imperial Highness, but, unlike the parents of the baby, she remained in Mexico, a member of the Court, and was, with Maximilian himself, co-tutoress of the heir presumptive to the throne. She had the most to gain and the most to lose. Think: Otto von Bismark meets Salma Hayek meets Queen Victoria meets Torquemada. (OK, maybe I am exaggerating, a little.) I particularly enjoyed writing her conversations with Frau von Kuhacsevich. Most readers have heard of Cinco de Mayo, which commemorates the defeat of the French at Puebla on May 5, 1862 (no, it is not Mexicos Independence Day). One year later, however, after hand-to-hand, house-to-house combat, the French finally took Puebla, and soon afterwards, General Bazaine, an able administrator and soldier famous for his coup doiel, who had made a spectacular career in North Africa prior to coming to Mexico, took command of the French Forces. Bazaine was both admired and despised, and in reading about him, I quickly learned to closely question the source. In Mexico he found himself in an increasingly difficult situation, for he represented an unpopular and costly occupation in suppport of an increasingly untenable and, alas, incompetent Mexican Imperial government under Maximilian. In the midst of this, his first wife, whom as a child, he had reportedly ransomed from North African white slaver traders, had an affair with an actor in Paris and, on the eve of leaving to join Bazaine in Mexico, she died suddenly. Soon afterwards he married her doppelganger, Pepita de la Peña, the 16 year old neice of one of Mexicos multitude of ex-presidents. Bazaine is a character both serious and frivolous, tough, yet big-hearted, vigorous, though, as his portraits show, gaining weight, becoming exhausted, small-eyed, on the defence. A Belgian aristocrat, member of the delegation from the new King of the Belgians, the Empress Carlotas brother, Leopold II, Baron dHuart was shot in the head when his stagecoach was attacked near Río Frío, out of Mexico City in March of 1866. His murder was a debacle for Maximilian, for it sent the message to all of Europe that his government could not protect its highways. For all my research, I found almost nothing about the Baron dHuart, so my portrait of him is based on an artistic choice: I wanted him to be sophisticated but naïve; a tourist avid for romance; a youth with every advantage and, stretching before him, a long span of life, so it seemed, until, from the dark woods: the crack of a rifle.